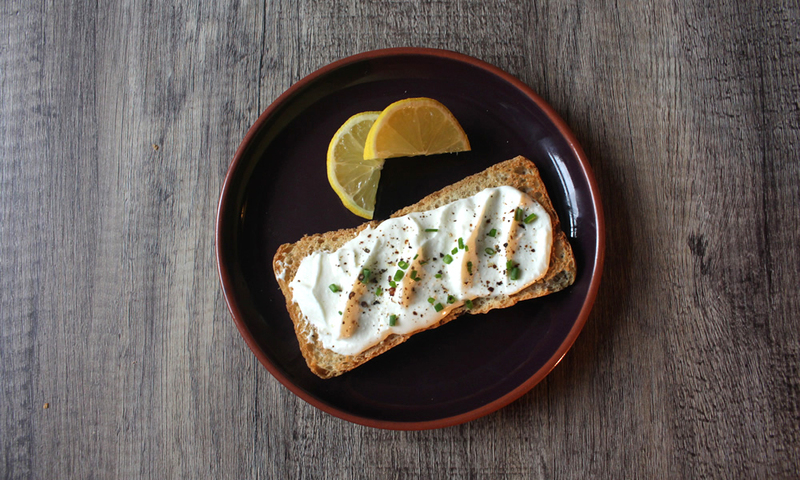 I’ve seen whipped feta on a few menus recently, so I thought I’d have a go making my own version. It’s incredibly easy to make and changes the texture of the feta so you can use it for dips, spreading on toast or stuffing roast peppers with it. Many recipes just use cream cheese but I think the addition of ricotta works really well with the feta. You can experiment with garnishes, here i’ve used black pepper, chopped chives and a squeeze of lemon juice but it works well with basil, lemon thyme or paprika for a nice heat kick. Cut the feta into chunks or just crumble into a food processor. Whiz until the feta starts to become like a paste. Add a pinch of salt, the cream cheese and the ricotta. Whiz up again until the cheeses are well mixed and transfer into a serving bowl. Now you can add the garnishes, either mixing them through the whipped feta or just sprinkle on top. 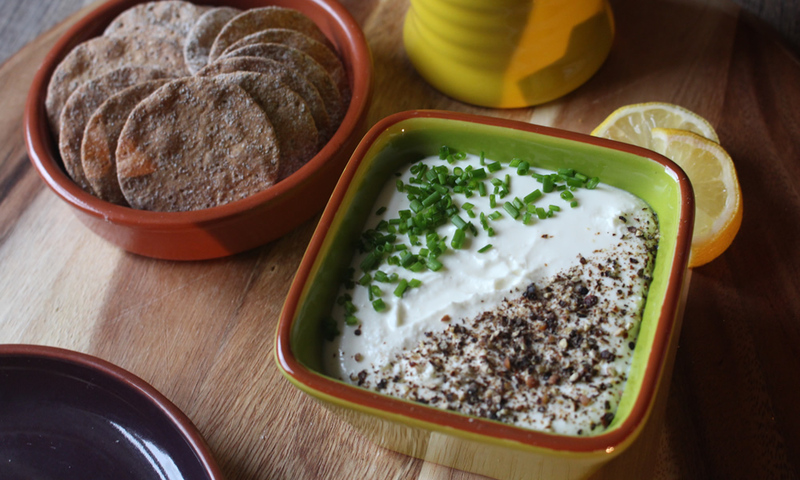 The whipped feta makes a great dip for crackers, veg crudités or toasted pita slices. It also makes a good spread for sandwiches or just to have on cracker bread with a squeeze of lemon.